According to market research firm InfoScout, some six percent of iPhone 6 and 6 Plus owners have used Apple Pay to make a touchless transaction, while 85 percent have yet to try the service. 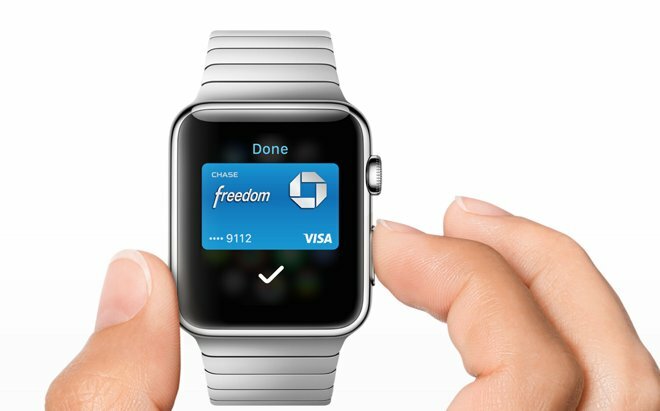 InfoScout announced its findings at the PYMNTS.com Mobile Innovation Project 2015 conference on Wednesday, with Venture Beat reporting adoption of Apple's NFC-based mobile payments system is moving "very slowly." Aside from the six percent who used or continue to use Apple's iPhone-based NFC payment solution, 85 percent of iPhone 6 owners have not even played with the service. Another nine percent said they experimented with Apple Pay, but forgot how to use it when making a purchase or didn't know where it was accepted. Since Apple Pay launched in October, however, there have been a number of how-to articles published covering setup and management, including AppleInsider's step-by-step guide. Statistics were based on a three-day survey taken last week involving 1,188 participants. It was not made clear whether data includes adoption statistics for Apple Pay's in-app payment functionality, available on iPhone 6, iPad Air 2 and iPad mini 3, but the report's language suggests only information regarding in-store transactions was counted. When discussing reasons as to why consumers have not yet used Apple Pay, the report muddles the data. Instead of distinguishing customers who are satisfied with their current payment method and those who do not understand how Apple Pay works, the two classes are lumped together. One thing that is clear, however, is a current hardware limitation to Apple Pay's growth model. "Not only do you have to have consumers with Apple Pay, you have to have consumers with iPhone 6," said PYMNTS CEO Karen Webster. "So, you have to have a consumer with the right hardware and the merchant with the right hardware in order for it to work." Apple is addressing this concern in part with Apple Watch. 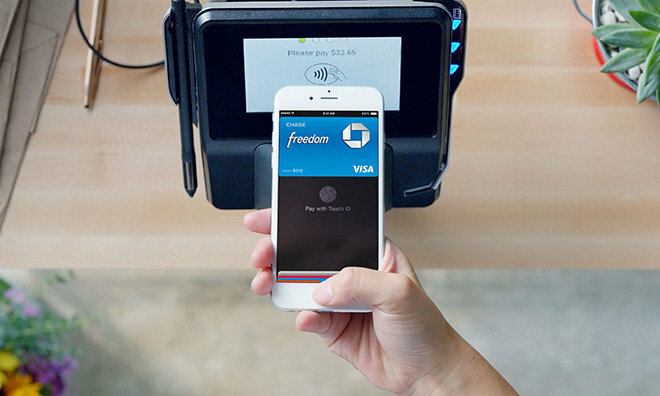 When the device debuts in April, it will not only serve as a client-side Apple Pay terminal for iPhone 6, but also as a go-between for Apple devices that lack NFC chips, like iPhone 5, 5s and 5c. Perhaps more important than hardware availability is customer loyalty. The study found 30 percent of respondents who already use Apple Pay base their shopping choices on whether a store supports Apple's service. If the number of consumers actively seeking out Apple Pay-compatible locations grows, retailers may feel pressure to jump on board, thus expanding the service's footprint. In addition, survey participants shrugged off recent media reports of security concerns and most hold a view that Apple Pay is easy to use and safe, the report said. Apple is slowly adding to a running list of merchants that support Apple Pay and recently announced 14 new partners including Jamba Juice and Office Max, making it more enticing for those who have yet to adopt. Additionally, the number of financial institutions participating in Apple Pay is steadily increasing. Just yesterday, Apple updated added another 39 banks and credit unions, bringing the total to almost 150 partners across the U.S., with another 700 awaiting authorization.